and important data for them. experience, your data will be in the best hands in the business. Emergency Data Recovery; and RAID Emergency Data Recovery. your case, providing you with peace of mind regarding your lost data. service representative will update you frequently on the status of your case. regularly on the status of your case. We're here for you 24/7/365! In many cases, we can evaluate, repair, or recover data in as little as 8 hours..
Find out for yourself by calling us right now. "While traveling to conference the drive in my Macbook Pro made a few suspicious nosies and refused to boot... 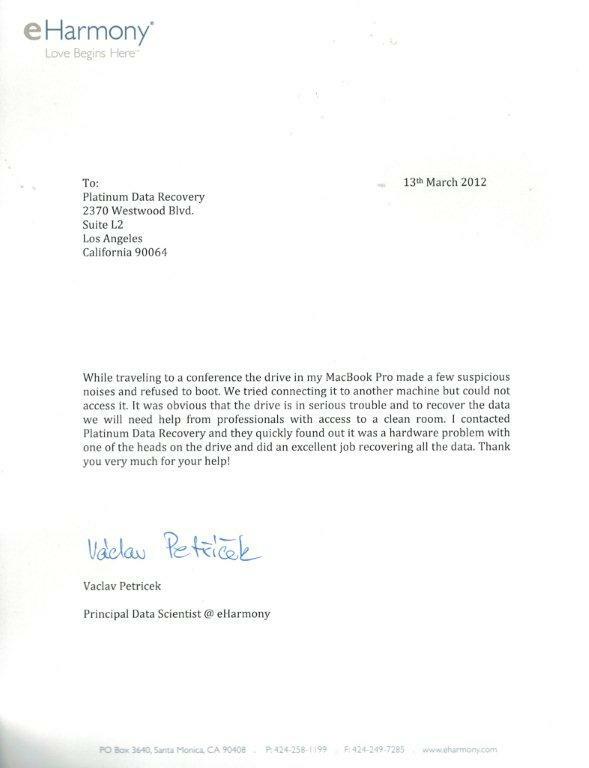 I contacted Platinum Data Recovery and they quickly found out it was a hardware problem with one of the heads on the drive, and did an excellent job recovering all the data."